This year, Qingdao, China, welcomes a new event that will see the 12-strong international Flying Phantom fleet compete in the Far East for the first time in history, to coincide with the tenth anniversary of the 2008 Beijing Olympic Games. 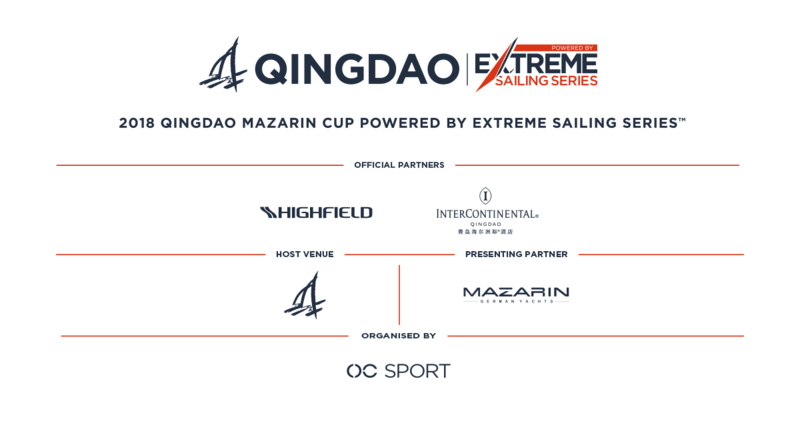 The fleet of two-man foiling catamarans representing six nations will descend upon the waters of China’s sailing city for a four-day festival of foiling at the 2018 Qingdao Mazarin Cup powered by Extreme Sailing Series™, an event that will bolster the city’s reputation as the home of Chinese sailing. Stars from the prestigious 2018 Flying Phantom Series will compete in this high-octane Stadium Racing tournament, foiling around the Olympic waters of Fushan Bay at speeds of up to 31 knots. Spectators can expect to witness a similar foiling spectacle to the world-renowned Extreme Sailing Series, keeping fans on the edge of their seats as they enjoy watching adrenaline-pumping racing just metres from the shore. Pierre-Yves Durand has proven himself a strong contender in the Flying Phantom class having racing with the impressive Cup Legend team in 2017. As well as Phantom sailing, Pierre-Yves also races foiling windsurfers, kitesurfs and SUP. His motto is “Put a helmet on and go fast”. We’re happy to see safety comes first. 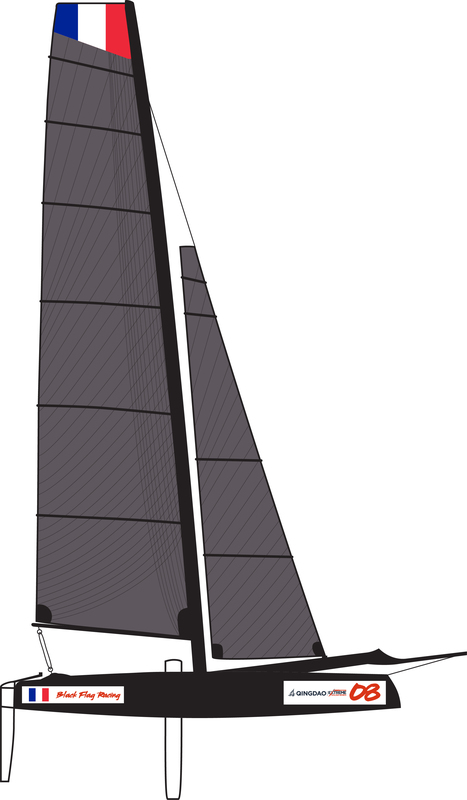 Pierre-Yves is joined by Francois Bois - the oldest competitor in Qingdao. Francois an experienced catamaran sailor and the driving force beyond the Flying Frogs syndicate. In Qingdao he will be racing against his ownFlying Phantom team for the first time! From the Royal Hong Kong Yacht Club, Rob brings experience from the International Moth world stage and former youth world championship titles. Now a professional Moth sailor and Olympic level coach, Rob teams up with 49er sailor Morgan Peach, who won the Red Bull Foiling Generation UK leg in 2015. Helm, Le Bouedec, raced on the Extreme Sailing Series™ in 2017 as a crew on the Flying Phantom. With some impressive accolades to his name in the F16 class, he returns in 2018 alongside crew Basile Bourgnon - the youngest competitor on the circuit at just 16 years old. The talented Bourgnon brings sailing excellence in his genes as the son of famous French sailor, the late Laurent Bourgnon. As the next team hot on the heels of Robert and Rucard from the Team France talent programme, Boulbin and Perron are determined to make their mark on the world stage. With a host of F16, F18 and SL16 titles amongst the youngsters, the pair will be fighting hard and pushing the boat to its limit. Helm, Boulbin’s motto of “Leave your brain on the beach and go hard” shows just how ready these guys are for some Extreme Sailing Series action. Black Flag Racing first raced with the Extreme Sailing Series™ as a wildcard in the Hamburg Act of 2017. A balance of youth and experience, the team look forward to pitching themselves against the world’s best once again in Qingdao. Culture Foil have quickly established themselves as a force to be reckoned with in the foiling world. As some of the leaders in the foiling revolution in France, the duo from Brest have scored podium finishes both the 2017 and 2018 Flying Phantom Series at the Extreme Sailing Series™. With experience at the sharp end of the fleet, they are a team to watch for the title in Qingdao. Crew, Neuhann, switches his brother for the talents of the young female French sailor Kim-Anne Le Formal at the helm for Qingdao. Neuhann is a fearless adrenaline junkie who is fired up for his first regatta in China. Le Formal, a competitor in the Red Bull Foiling Generation and part of the Team France Jeune project, is the only female helm in the championship and no stranger to foiling. Probably the team with the most experience across catamarans and foiling boats, Pierre and Arnaud are in their second season with the Flying Phantom Series. Pierre is a former member of the Red Bull Sailing Team and has raced in Qingdao previously whilst Arnaud is pro sailor in the Easy to Fly and D35 classes. This team of Kiwis are just 21 and 22 years of age but have already got silver medals in the Red Bull Youth Americas Cup, a shared ISAF Youth World Championship title and a Red Bull Foiling Generation World title. Isaac, also a ballroom dancer, and Micah are certainly a team to watch for the overall title. Keep an eye on them as the two Tokyo 2020 Games hopefuls ‘swing it down’ in China. Max, former British 49er team member and now GC32 sailor and boatbuilder, is a newcomer to the Flying Phantom but brings years of technical knowledge from the Extreme Sailing Series and knows just how to make the boat go fast. Teaming up with Richardson is female Match Racing star and former youth world champion Annabel Vose, one of only two females in the Championship. Expect these guys to gain momentum as the championship develops after they get a handle on the lively Flying Phantom. Spanish sailing stars Oriol Mahiques and Albert Torres join the Flying Phantom fleet in Qingdao. Having sailed in the Extreme Sailing Series in Barcelona in June of this year, Mahiques (bronze medal on the 29er Worlds) brings with him superior knowledge of racing foiling catamarans. His teammate and helm, Torres, is a rising star in the Spanish Impulse Academy and won silver in the 2017 420 Worlds. A young sailor at only 19 years of age, Torres plans to lean on his youthful energy, fresh perspective and impressive dynamism to sail his Flying Phantom to victory. French foiling pros Dorange and Flament are fresh from the French leg of the Red Bull Foiling Generation - a leg in which they claimed victory. Before heading to the final in Miami, the pair will descend on the waters of Fushan Bay to battle the 11 other teams for an historic victory in China. A tenacious team, these guys mean business.